The St Mary’s Centre collaborates with the Warwick Religions and Education Research Unit at the University of Warwick on the Wales aspect of the Young Peoples’ Attitudes to Religious Diversity Project. In Wales 2,328 year nine and year ten students participated in the quantitative survey part of the project; 1,087 students from schools with a religious character (Catholic and Church in Wales) and 1,241 students from schools without a religious character. The Young People’s Attitudes to Religious Diversity Project is a three-year funded project within the AHRC/ESRC Religion and Society Programme (2009-2012). The project, conceived by Professor Robert Jackson, employs mixed methods, both qualitative and quantitative. The quantitative strand is led by Professor Leslie Francis, working with a team of researchers in the Warwick Religions and Education Research Unit (WRERU), in the Centre for Education Studies at the University of Warwick. gain more detailed knowledge and understanding of young people’s attitudes towards religious diversity. gain more detailed knowledge and understanding of the factors that influence the formation of these attitudes. inform current debates about RE and social cohesion and provide reliable information relevant to the development of policy. supply important data to inform academic discussion. Francis, L.J., ap Sion, T. & Penny, G. (2014). Is belief in God a matter of public concern in contemporary Wales? An empirical enquiry concerning religious diversity among 13- to 15-year-old males. Contemporary Wales, 27, 40-57. Francis, L.J., Penny, G. & ap Sion, T. (2017). Schools with a religious character and community cohesion in Wales. In E. Arweck (Ed.) 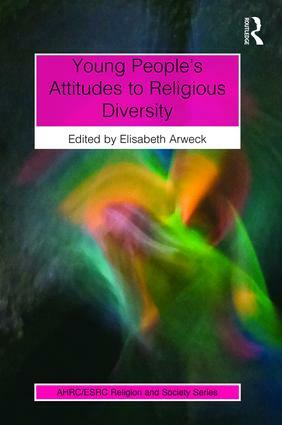 Attitudes to Religious diversity: Young people’s perspectives. Farnham: Ashgate. Francis, L.J. & Village, A. (2014). Church schools preparing adolescents for living in a religiously diverse society: An empirical enquiry in England and Wales. Religious Education, 109 (3). Francis, L.J., ap Sion, T., McKenna U., & Penny, G. (in press). Does Religious Education as an examination subject work to promote community cohesion? An empirical enquiry among 14- 15-year-old adolescents in England and Wales. British Journal of Religious Education.